The Beacon cover girl, Serena Williams, has a message for Australian women – touch yourself. The tennis champion has thrown her support behind the I Touch Myself Project, inspired by the late Divinyls singer Chrissy Amphlett. Chrissy was passionate about spreading awareness of the importance of early detection of breast cancer, and wanted ‘I Touch Myself’ to become an anthem for women’s health around the world. A women’s health advocate and Berlei ambassador, Serena hopes a new video of her singing the Divinyls hit will remind Australian women about the importance of being breast aware. She has been a Berlei devotee since discovering the brand during the 2003 Australian Open. The I Touch Myself Project was first launched in 2014, when 10 of Australia’s best-known female artists recorded their own version of ‘I Touch Myself’ to encourage women to check their breasts. A proud partner of BCNA since 2005, Berlei became involved in the I Touch Myself Project after meeting with Chrissy’s husband, musician Charley Drayton. Charley told Berlei about the difficulty Chrissy had faced when finding a bra after surgery that made her feel feminine while still being practical. In response, Berlei designed its first rock and roll inspired bra specifically for women who have undergone breast cancer surgery in 2016, naming it The Chrissy Post- Surgery Bra in tribute. After overwhelming positive feedback about the Chrissy range, this October, Berlei releases two new rock star-inspired snakeskin print Chrissy bras – a post-surgery bra and a T-shirt bra. The T-shirt bra has the words ‘I Touch Myself’ printed inside to remind women to regularly examine their breasts. 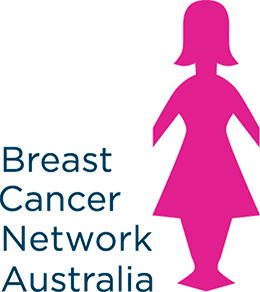 We know that many of our members are passionate about raising awareness of the importance of early detection. In an age when women can feel bombarded with conflicting health and wellbeing messages, we are thrilled to have Serena’s powerful voice spreading the word. The Chrissy bras are available exclusively at berlei.com.au. The Chrissy T-Shirt Bra is $69.95 and Post-Surgery bra is $59.95. All profits from the sale of the bras will be donated to BCNA.